An innovation opportunity is worthless if it remains only an idea, a concept or a business plan. 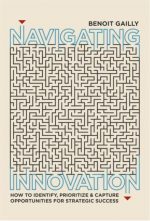 Successfully managing innovation therefore means developing the capabilities to effectively capture the innovation opportunities that the organization identifies as attractive. But innovation opportunities cannot be managed like “normal” corporate projects, where uncertainties are minimized and failure is the exception. Nor can they be managed “on top of” existing activities and budgets, without the right processes and resources. The fifth and last innovation management challenge is therefore to effectively capture innovation opportunities through dedicated project management and decision-making approaches, balancing effective execution with timely learning and flexibility, and mobilizing the right funding sources.